Lighttpd is an open-source web server optimized for speed-critical environments while remaining standards-compliant, secure and flexible.The low memory footprint (compared to other web servers) small CPU load and speed optimizationsmake lighttpd suitable for servers that are suffering load problems, or for serving static media separately from dynamic content. 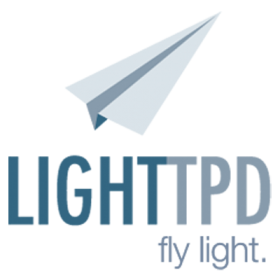 Lighttpd is free software/open source, and is distributed under the BSD license. 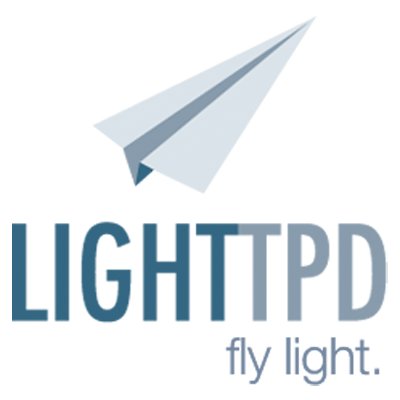 lighttpd supports the FastCGI, SCGI and CGI interfaces to external programs, permitting web applications written in any programming language to be used with the server. As a particularly popular language, PHP performance has received special attention. Lighttpd's FastCGI can be configured to support PHP with opcode caches (like APC) properly and efficiently. Additionally, it has received attention from its popularity within the Python, Perl, Ruby and Lua communities. Lighttpd also supports WebDNA, the resilient in-memory database system designed to build database-driven websites. It is a popular web server for the Catalyst and Ruby on Rails web frameworks. Lighttpd does not support ISAPI.